These are replacement pods for use with the Aspire Cobble only. Each pod holds 1.8ml of vape juice and contains a non-replaceable 1.4ohm nichrome coil that provides great flavor. To fill your Cobble Pod, simply remove the silicone plug from the base of the pod, squeeze your preferred vape juice into the filling slots and replace the plug. It is recommended that you leave your pod for 10-15 minutes after its initial filling to allow for proper wicking. For the most satisfying nicotine rush, use nicotine salt vape juice. Cobble Pods by Aspire come in packs of 3. 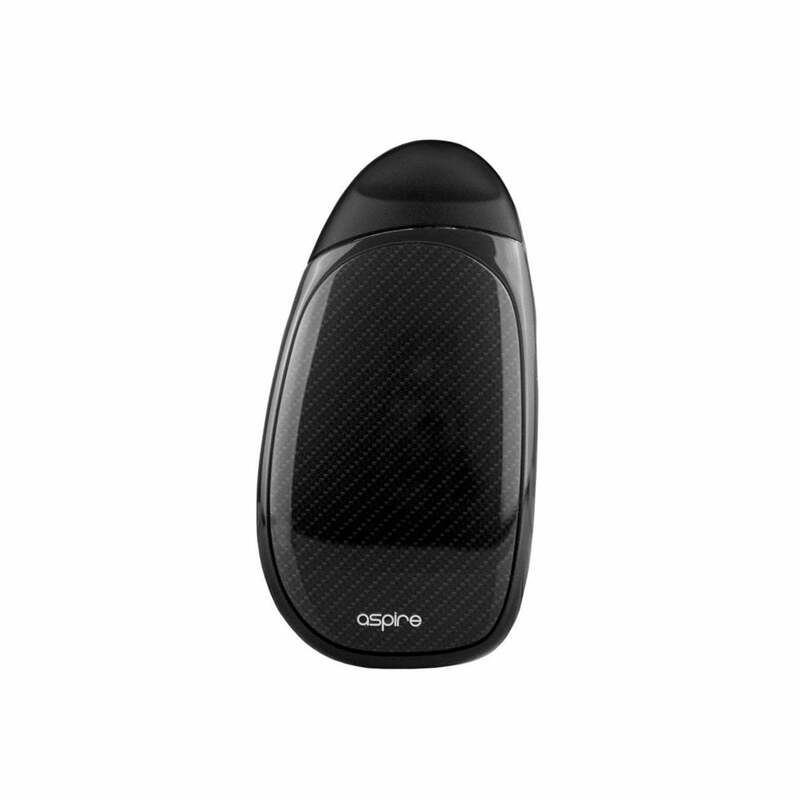 The Aspire Cobble Kit is a compact, lightweight tank-style pod system designed for use with both nicotine salt juices and standard vape juices. The Aspire Cobble's small form factor and ergonomic design easily fits into a small purse or pocket, making it a perfect solution for vaping on the go. A choice of five fashion-forward finishes makes the Cobble both stylish and functional. The Aspire Cobble has a smooth mouth-to-lung airflow path. The Cobble's restricted air flow and innovative BVC (Bottom Vertical Coil) coil system work together for increased vapor and flavor production compared to top coil style devices. The Cobble is an auto draw device - just inhale from the drip tip to start vaping. The Cobble's pod uses an integrated 1.4 ohm BVC (Bottom Vertical Coil) NiChrome heating coil and holds 1.8 ml of vape juice. Refilling the pod is simple - push up on the end of the pod to release the pod from the battery unit. Flip the pod over and lift the silicon seal, and insert a filling bottle or dropper into the fill hole to add vape juice to the pod. Replace the silicon seal and seat the pod back into the battery unit, pressing down until it snaps into place. The Cobble's built-in battery system easily charges with a Micro USB cable. The battery system is designed with overcharge and overheat protection as well as an easy-to-read LED bank that displays current battery charge status. Despite its small form factor, the Cobble's 700mAh battery holds ample power for a full day of vaping between charges. Aspire has paved the road to vaping heaven with the Cobble! Take the next step today! Just got my Aspire Cobble today. I put my juice in and it BURNT so bad!!! The pod I got with it was a bum one. Luckly, I ordered a three pack of pods so hopefully, it will work better with a new one. Really aggravating that the pod it came with was useless!!! Hope this isnt a sign of things to come with this device. I am not normally the type to post negative reviews of anything online, however, seeing as how this device is getting nothing but positive reviews, I figured it would be beneficial to any potential buyer to post my personal experience. I will preface this review by saying I absolutely loved this little guy when I first got it; great flavor, thick clouds, small, stealthy. Just what I was looking for, and I was thrilled... for about three days. Shortly after getting the Cobble, my first pod burnt out. Strange, but I figured I was just puffing it too often and bought another pod without hesitation. Few days pass, burnt again. This made no sense to me, seeing as how I often checked the juice level from the little window on the side of the pod, to make sure I was filled up. I started pulling the pod out entirely to check the juice, and this is where the frustration begins. With the pod being so thin, the juice does not stay level throughout the entire pod. If you look at the pictures, you'll see the pod has a tube that goes down the middle, where the coil is. The pod itself is so thin that juice will not flow freely between both sides of that tube. As you vape, only one side of the pod is losing juice. This makes that window on the side to check juice level utterly useless, and if you aren't CONSTANTLY removing the pod to check the level, you risk running down the juice on only one side, drying up half the coil, and eventually burning up the pod. It's impossible to remember throughout the day when I last checked the level, so now I just remove the pod and check every time I take a puff. Annoying. These efforts, however, are still not enough- I bought a pod yesterday and it is already burnt up today. Another gripe with the pod itself is the hole used to refill. It is TINY and more often than not, the nozzle for whatever bottle of juice I have is much too big. You have to cram the nozzle into the hole to fill it- this is a huge mess. Of every bottle of juice I've put through this thing, I'd say at least 1/4th of each bottle is wasted due to refilling (this thing SPITS juice too, so even more is wasted from the amount I drink. Gross). It doesn't end there! Mine is now doing this great thing where it continues firing after my draw. Joyous! Now EVERY time I take a puff, I have to awkwardly remove the pod one-handed as I'm finishing my draw. Between pulling the pod out to check fluid, and pulling it out after each puff, I swear, this pod spends more time out of the device, than in. I will be replacing this device as soon as possible with a Lost Vapes Orion. I am giving the Cobble two-stars because at the end of the day- whether I like it or not- it still does just what it is advertised to do. It vaporizes juice. Whether I recommend it or not is another story (spoiler alert, I don't). I bought this, followed the instructions, put it together, and hated it. It burned the heck out of my throat every time I drew on it. I even watched Youtube videos to make sure I was doing it right. Then I decided to order some replacement pods and sure enough, it is fine! I just got a bum pod with the first one. That is why these systems should include a backup pod or else someone will give up on it and never buy again. With the replacement pods I got, it works fine! I really love it now, but shame on them for only giving one pod when you buy it! Bum pods happen all the time! Draws real smooth and provides consistent taste. Should break pods in and prime slow at first. Nice product. 9th December 2018 - Paul G.